Welcome to PRIDE PRISCO at Miami Beach's hottest mega-venue: Basement at the Edition Hotel — featuring a nightclub, bowling alley and ice-skating rink—with a award-winning sound and lighting. DJ LINA, known for music that is soulful, beautiful, fun and happy, Lina regularly brightens global dance floors from New York City to Fire Island Pines and across the pond in several European cities. “I played music that spoke to me and hit my soul on every level. It was all very organic and spiritual." She blends such powerful tracks from all different genres and eras. “I’m from the school that teaches how every artist has a story to tell,” says Lina. “As DJ’s, we’re all on a journey and it’s our job to share it with the crowd from the first song to the last.” She has earned several career awards and including a Lifetime Achievement Award from The Glammys. She began a residence on Fire Island in 2005 and is considered the "Queen of Fire Island". Occupy The Disco, represented by DJ RUBOT, is a New York-based DJ collective. They started out simply as a casual experiment between three friends to reintroduce underground dance music to the gay dance floor. The mission was simple: reclaim what what was rightfully ours as a community – and hence the name ‘Occupy The Disco’ was born. Their sound is permeated by a collective love of nightlife’s past and present; it’s unabashedly queer, underground-inspired, and always eclectic. 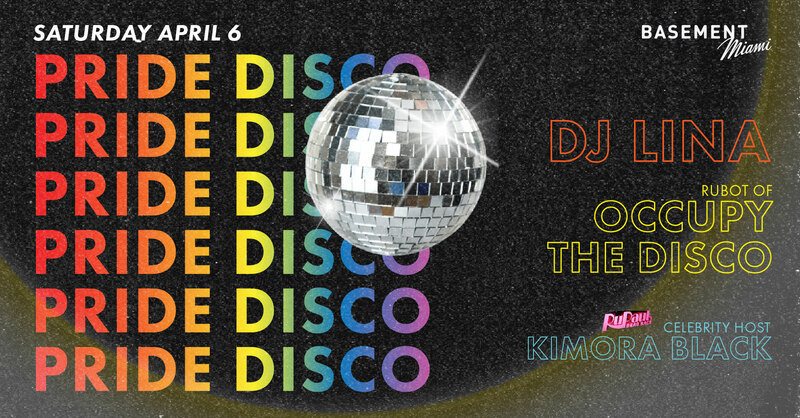 Whether it’s bright, daytime house music at their Sunday tea dance Paradisco or tricked out techno at a warehouse party, Occupy the Disco spans a musical repertoire that defies the confines of a single genre. Their sounds have been featured at NYC Pride, The Pines Party, and at their residency at Le Bain. They have also played at Good Room, Flash Factory, Black Flamingo, Analog BKNY, and Cielo. Hosted by RuPaul Drag Race's KMORA BLAC.